Cisco is extending data center-class networking and compute to the cloud, edge and Internet of Things -- a strategy it's calling "data center anywhere." As part of that strategy, Cisco Systems Inc. (Nasdaq: CSCO) has introduced support for its Application Centric Infrastructure (ACI) virtualized networking in Amazon Web Services Inc. and Microsoft Azure clouds. It also launched new HyperFlex hyperconverged compute and storage options for remote locations and unveiled a new release of CloudCenter software with added support for managing cloud costs. 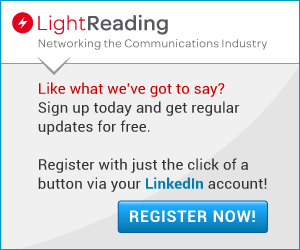 "There is nothing centralized about data anymore," Dan McGinnis, Cisco lead data center product marketing for networking, tells Light Reading. Centralized data centers are still important, but public and private clouds are becoming equally as important. And Internet of Things and mobile devices are driving the need for networking and compute to the edge -- this is particularly an issue for telcos. 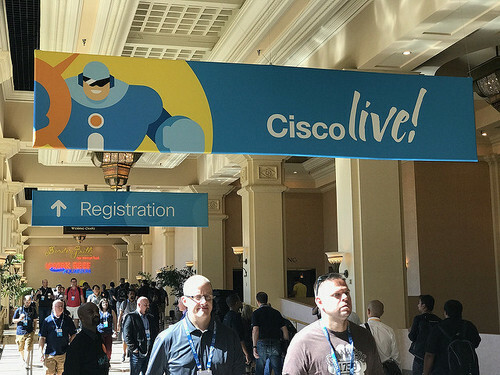 ACI is a long-standing, on-premises Cisco technology for software-defined networking: Now Cisco has extended that software into AWS and Azure, allowing network managers to use ACI tools to manage virtualized networks on those public clouds. Support for Google Cloud is in development: Cisco previously supported bare metal cloud networking, McGinnis said. Cisco is introducing HyperFlex hyperconverged devices for remote locations, allowing organizations to pool storage and compute onto a single network. Previously, organizations had separate compute networks and storage area networks (SANs), now everything shares a single network. The availability of new HyperFlex for Branch systems simplifies the administration of remote locations, like retail outlets. 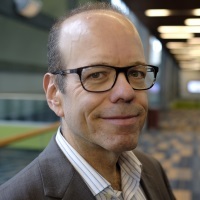 "You just ship the systems out there, have someone rack it, connect it and do everything else remotely," Tod Brannon, Cisco director of product marketing for compute, tells Light Reading. The technology is useful for telcos looking to simplify administration of remote points of presence, particularly with the emergence of 5G. Cisco's CloudCenter cloud management software is refactored for containers, to make it easier for organizations to deploy the software. CloudCenter now provides real-time cost optimization to help organizations optimize cloud workloads between multiple cloud providers on the fly. The vendor is streamlining its data center software enterprise agreements for standardized three- and five-year terms. Organizations can add new software to the package -- for example, Cisco's Tetration analytics -- and then pay for what they use when the next license payment is due. That's designed to make it easy for organizations to try new software services from Cisco, Brannon says. For telcos and other network service providers, Cisco is looking to make it easier to support edge applications that will become more prevalent as the Internet of Things (IoT) expands and as 5G architectures (including distributed cloud capabilities) are deployed. Telcos such as AT&T have the resources to build their own technology for the edge, but smaller telcos need Cisco's help, McGinnis says (or hopes). The reference designs include an industrial automation blueprint, comprising components from Cisco, Rockwell Automation, Eaton, Siemens and more; distributed automation for utility grids; and remote and mobile assets for fleet management. The new hardware devices, in the company's Catalyst line, include ruggedized, automated hardware with a modular design that can easily be upgraded to support 5G and beyond, Vikas Butaney Cisco VP product management, IoT, tells Light Reading. In IT, products turn over every two to five years, but in factories and other industrial Internet locations where IoT is emerging, turnover is more like seven to ten years, meaning products need to be upgradable in place. For carriers, the Cisco initiative presents a couple of opportunities: IoT installations often use cellular connections between tens of thousands of devices connected through routers, while other devices, such as smart meters on homes or connected cars, have direct connections to cellular networks.